With Release 5.1, Metric Insights offered Favorites, Shared Favorites, Bursts, and Standard Notifications (Immediate, Daily, Weekly, Monthly). 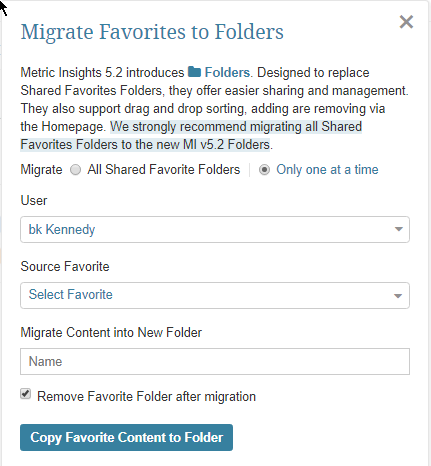 The new 5.2 Folders feature is designed to unify these approaches for content and distribution management into one system of Folder management. 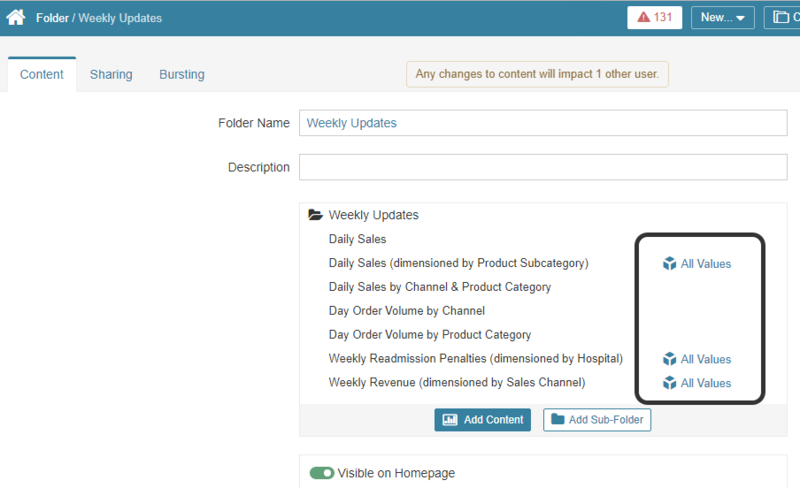 It allows users to set a preference to only display personal Favorites and Shared Folders on their Homepage rather than always seeing all Categories that contain content to which they have access. 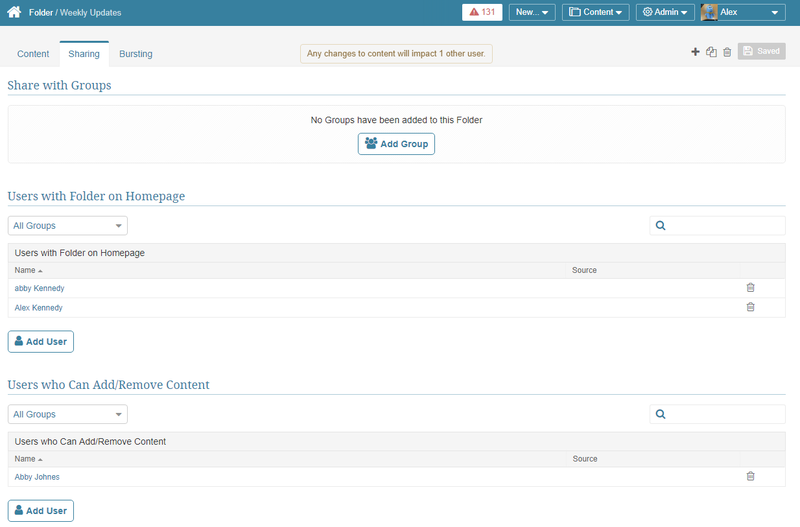 Power Users and Admins can create and manage Folders and distribute their content to Group members or individual users on a Burst and its selected Notification Schedule. Power Users and Admins can define Bursts for both Folders and for a collection of elements and select individual Dimension Values of Dimensioned elements. These elements are shown with a Dimension icon that allows a user to select one or more (or all) Dimension Values to be included in the Folder. When user clicks the icon, a popup allows Dimension Values to be included or excluded.